When you’re working from home, it’s important to carry out the hours you say you are. After all, reporting to someone else, there’s always a trust element. So while it’s tempting to watch daytime television, that’s not what’s been agreed with your boss. However, by taking up a franchise opportunity in Spain, you could be the one calling the shots. As such you can set your own hours. However, that said we would still suggest planning your week accordingly to ensure you get everything done efficiently. Following on from setting your own hours, it’s important to create a work/life balance. Why own a franchise in Spain if you can’t enjoy life on the Costa del Sol? It’s all too easy to fall into the habit of all work and no play. Many think it’s the opposite, but when you’ve got responsibilities it’s not always that straightforward. So remember, if you’re the owner of a business in Spain, you can give yourself off. Even if it’s just a walk along the beach on a nice day, the fresh air will do you good. As part of creating that work/life balance, it’s important to set some space aside for your home office. If you can, try and have a dedicated room for your work. However, we appreciate that’s not always possible. Therefore, ensure you make the most of what you have. That means using the right furniture, sitting on your bed all day is bad for your posture. However, setting up your computer on the breakfast table could be just as distracting when it comes to being surrounded by the washing up. If working from home means you’re also surrounded by stock, then you may need some extra storage space. 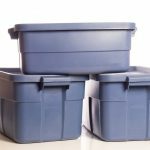 Even if it’s just during peak trading seasons, at uStore-it you can hire a storage facility for your long or short term needs. 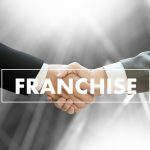 If you like the idea of working from home, then choosing the right franchise opportunities in Spain could be your most important business decision. With uStore-it, you can have a home office, but the main business is set up elsewhere. Meaning you can keep a close eye on your business from home, but without having to live in the Costa del Sol. At uStore-it you can join a well-established business model with a promising future. So if you like the idea of taking advantage of our franchise opportunities in Spain, contact uStore-it today. Where our customer services will be happy to advise on any franchise opportunities in Cota del Sol.